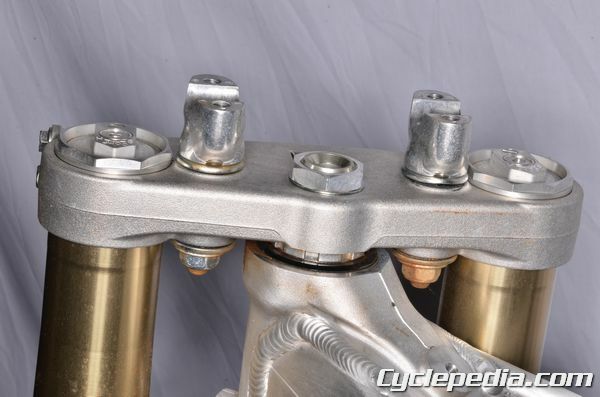 Support the motorcycle with a suitable stand or jack so that the front wheel is off of the ground. Grasp the bottom of the fork legs and move the steering lock-to-lock. Also try to move the wheel forward and backward. If you detect rough or abnormal movement the steering bearings may need to be replaced. 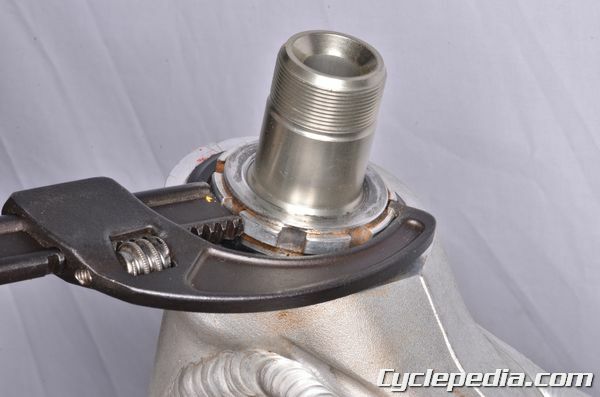 Lift the upper triple clamp off the steering stem to gain access to the adjusting nut. 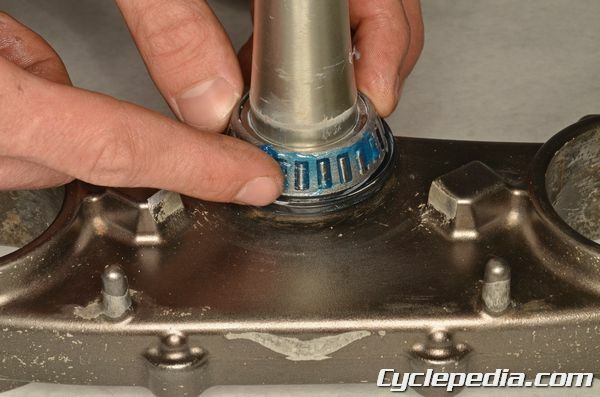 Tighten the adjusting nut to its initial torque setting. 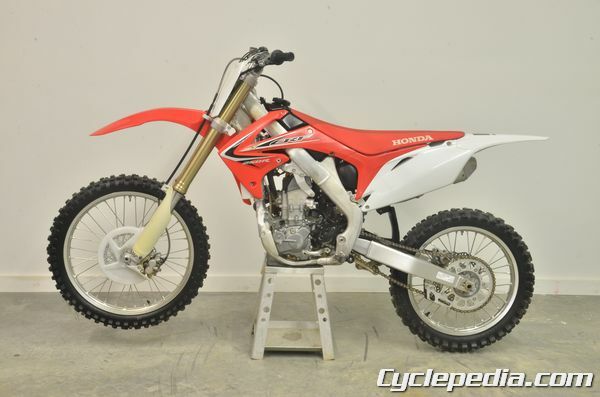 Turn the steering stem back and forth and check to make sure the steering is smooth. 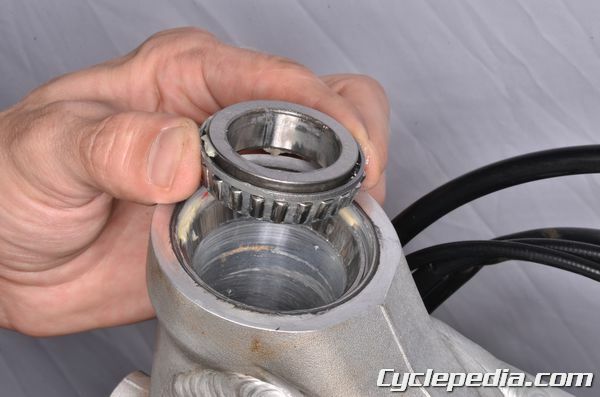 If it does not turn smoothly, remove the nut and check the upper and lower bearings. Always replace the bearings and races as a set. Be sure to grease the bearings before installation.